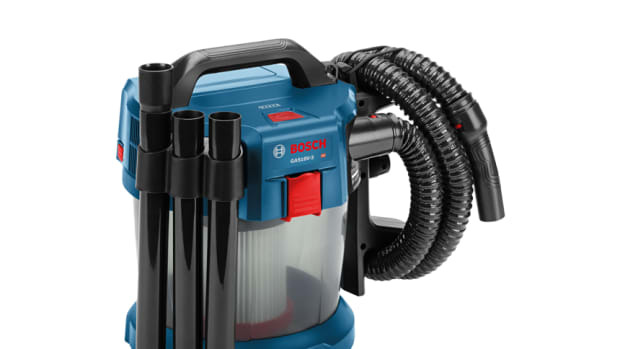 Bosch has introduced a self-cleaning shop vacuum, the 13-gallon wet/dry Air Sweep (model 3931A), which has four different operating modes: regular vacuum, power tool activation, pulse-clean and pulse-clean with power tool activation. 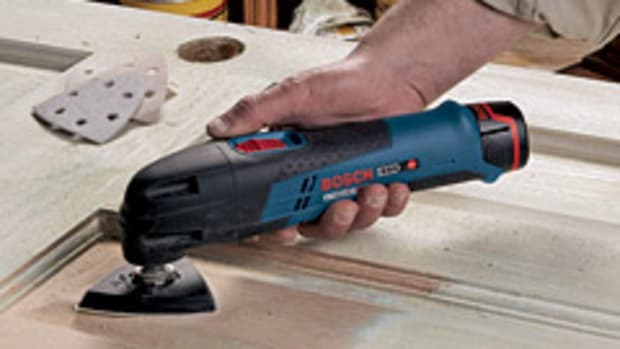 "By [regular] vacuum, we mean using the vacuum cleaner by means of using its own switch to turn it on and off, such as when using a wand kit to vacuum a floor," explained Bosch product manager Jim Stevens. 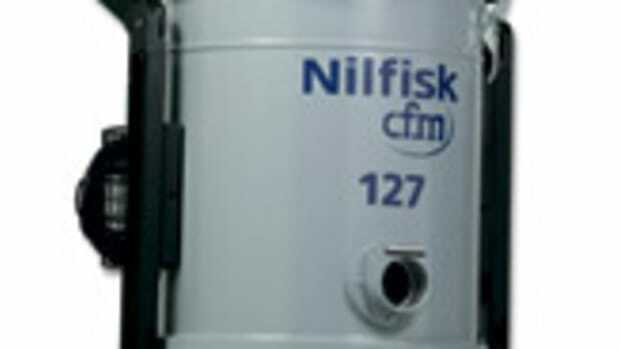 "The pulse-clean mode is a setting that turns on an electromagnetic system that cleans the filters by shaking them out for 10 seconds." The Air Sweep features a receptacle for plugging in one power tool (7.2 amps or less), so when the power tool is turned on, the vacuum automatically runs. "In addition to the basic power tool activation mode, the pulse-clean mode can be used in combination," said Stevens. 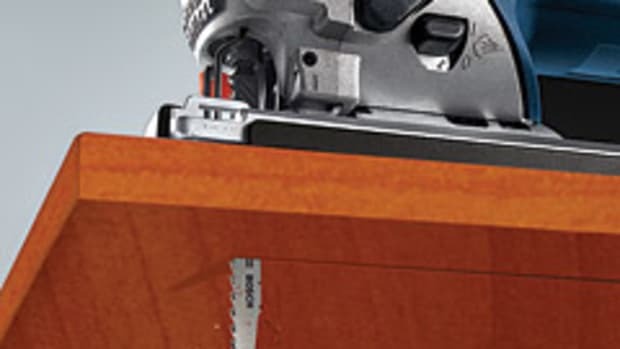 "In this mode, when the user turns off the connected power tool, the 3931A checks its recent airflow level, and if necessary automatically shakes off the filters. This is a very helpful feature for those working at a remote location, such as on top of scaffolding." The Air Sweep has a 6-1/2-hp motor which gives a maximum air flow rate of 130 cfm, according to Bosch. 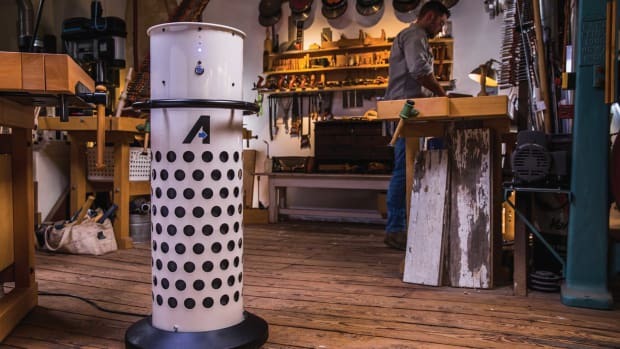 It also features a no-rust polypropylene tank, rubber tires designed to withstand heavy usage, and a seven-second Run-On feature which allows the vacuum cleaner to clear the hose of the last debris created by a power tool. Stevens said the vacuum retails for about $429 to $449. It is sold with two filter cartridges, a hose just shy of 10", and a 5.5-gallon disposable dust bag. 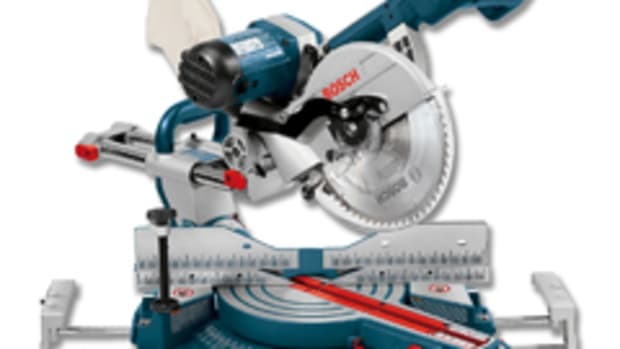 Bosch also offers several accessories.